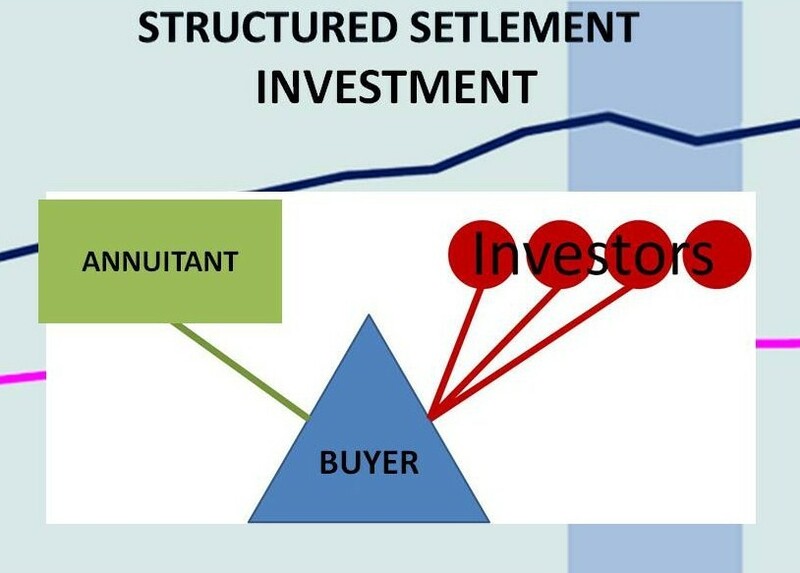 If you want to do a structured settlement investment, here's the idea and how it works. A structured settlement investment means that you are buying out the structured settlement periodic payment of another party, a claimant who are receiving periodic payments in compensation for a personal injury, for example. IMPORTANT NOTICE: since this page is about structured settlement investments, it should be clear that whatever is said here does not constitute advise in any way of investment or financial and legal issues in general. It is for information purposes only. For any advice please consult a qualified professional. By investing in the structured settlement payment rights, you are assigned the rights to keep the payments for yourself, or you transfer on the payment rights to others, either as a mediator, or as an originator who is buying out directly the structured settlement payments from the original annuitant and reselling it to third parties, either as a stand alone package, or as part of a larger vehicle securitizing and selling shares of a pool of structured settlement annuities (actually annuity payment rights) that were cashed out for the original payment holders at at discount. Not so long ago, the industry was compelling to many risk-averse people since the so-called "returns," or more accurately the profits (I'm saying this because secondary market structured settlements are not really "investments" in the usual sense of the word), were often quite appreciable with 6-7% ROI not uncommon for the end buyers purchasing the payment rights from factoring companies. Currently, however, rates seem to have dropped dramatically, so at present the industry isn't what it was in the near past. This might not have affected as much the structured settlement investment buyers who are purchasing shares of securitized structured settlement annuity payment rights directly from factoring companies. Its nice return is of even more value given its low risk. This is a notable exception of the usual rules of investment where high yield usually goes together with higher risk and volatility. The reason to it has to do with the inherited nature of a structured settlement, which doesn't really start out as investment, but is the compensation of a personal injury claim or other type of disbursement structured as a stream of future payments. Nobody has actually "invested" or paid any premiums for the distributions. It is pure earnings, and therefore when sold for a discount allows for a greater profit margin. You do compromise, though, in terms of 1) duration and 2) liquidity. What it means is that it can take years before you get the return on your investment because the original structure of the payments plan can't be changed. You may be getting the future payments in equal periodic intervals, or/and lump sums at certain defined periods. A structured settlement investment, then, is tailored for the cool-tempered, conservative investors ready to "wait it out" and "hold to term." 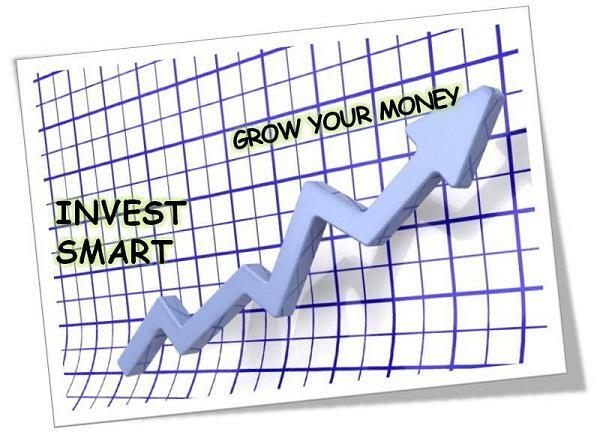 It may be suitable for people who are looking for low-risk, fixed and stable streams of income. Nor does the interest yield change and it is not affected by market volatility. You know exactly how much you'll earn. It is not "risk-free," though. The payments may spread over many years, during which the stability and financial strength of the original annuity-issuing company may decrease, although the risk is not as big because structured settlements are usually signed with leading national high-graded companies. Compared to other predictable, fixed income streams, structured settlement investments earn a nice return. If you have the nerves to wait it out to "maturity," that is. Profits from structured settlement investments are basically the difference of the value of future payments minus the lump sum payout to the original holder of the payments rights. But it depends on whether you are the original buyer/investor or you buy it second-hand from the factoring company or from a broker, or partner with another seller. The broker usually makes only a thin profit, the "spread" between the ask price and the price paid by the buyer. Also important to know is that the factoring company who is buying it from the original holder is the one in charge for the court approval and attorney fees. The profits are the remainder after counting off the fees (that are usually factored into the "discount rate" to calculate the lump-sum amount paid out to the original holder). Who am I dealing with? Is it the original holder, the buyer, the broker? What is the reputation, history, financial strength of the structured settlement company or broker? How many parties are involved? Are there any fees, charges, commissions? Will I be a legally-recognized investment partner? Will the initial buyer be willing to deal with me to straighten out any disputes, upcoming problems? Is there a current or potential future lien or lawsuit against the investment? How much exactly will I earn after taking off all the fees and charges? When will I get my payments? Will they be parts of each payment, or full payments during certain periods, in immediate or later years? What are the tax consequences? Talk to a tax specialist! Carefully and meticulously read through all the documentation and agreements no matter how long, and do not sign on anything before you are absolutely sure you understand and agree to everything and there are no grey areas and obscure language posing potential threats and pitfalls to your investment. A structured settlement investment may be low-risk and earn nice returns and fixed, stable income, but it may take years to get the return on investment and the asset isn't liquid. The settlement may be purchased first hand, but as is often the case, bought from an original factoring company via or without the mediation of a broker. Always, always know who you are dealing with. Why Is A Structured Settlement Investment Good - Or Why Not?